The View My Requests‍ tab is where Core Customers can review the service requests they have submitted with a core. Filters: The filters panel, as discussed further below, is a way to refine your list of requests. 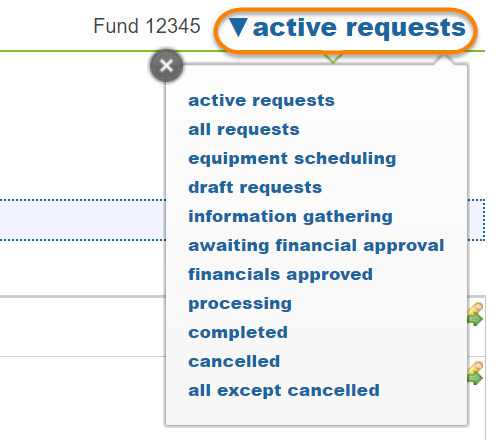 You can filter requests on a wide variety of other attributes using the Filters panel. If the filter panel is not visible, click on the "Show filters" link in the upper-left. To use filters, use the black arrow to the left of each category to expand the filter you would like to search on. Then, select from the available entries. With the appropriate criteria selected, click "Apply Filters" and your refined list will display. 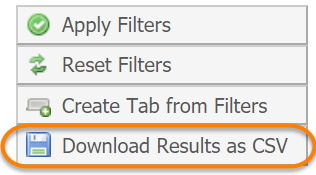 You can also reset all filters with the "Reset Filters" button. 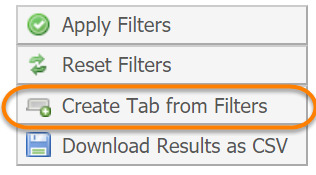 For filters you use regularly, you may create a custom tab for this filter by clicking the "Create Tab from Filters" button. This will prompt you to choose a name and optionally a description. The new tab will display next to the active requests tab. Finally, you may download these search results into a .csv by clicking the "Download Results as CSV" button. Request summary: The top section of a request provides an overall summary, listing the request date, requester, service request ID, status (see below), estimated cost and various request actions (see below). Request status and approvals: This columns shows the current status of the overall request, and below it are any applicable workflow action buttons (in this case, the requester need to "Agree" or "Disagree" to the request as proposed by the core). Refer to Statuses of Requests ‍ for more information. 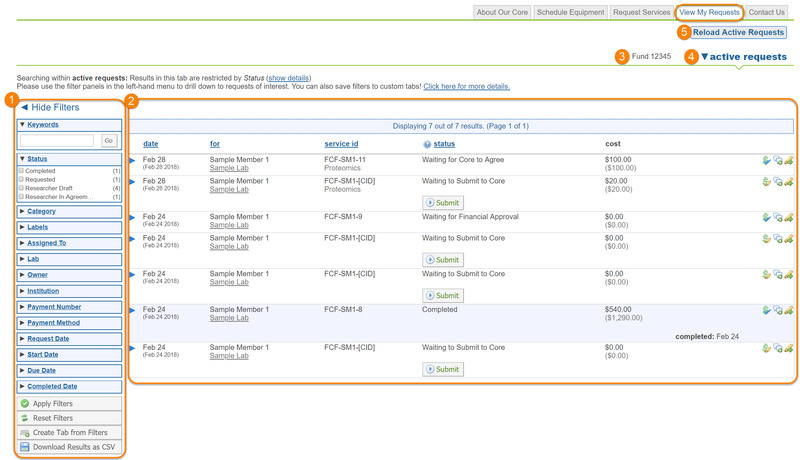 Fund/Payment information: Click the dollar icon to change the Fund/Payment information‍. Add comment: Click the text bubbles icon to add a comment to the request‍. 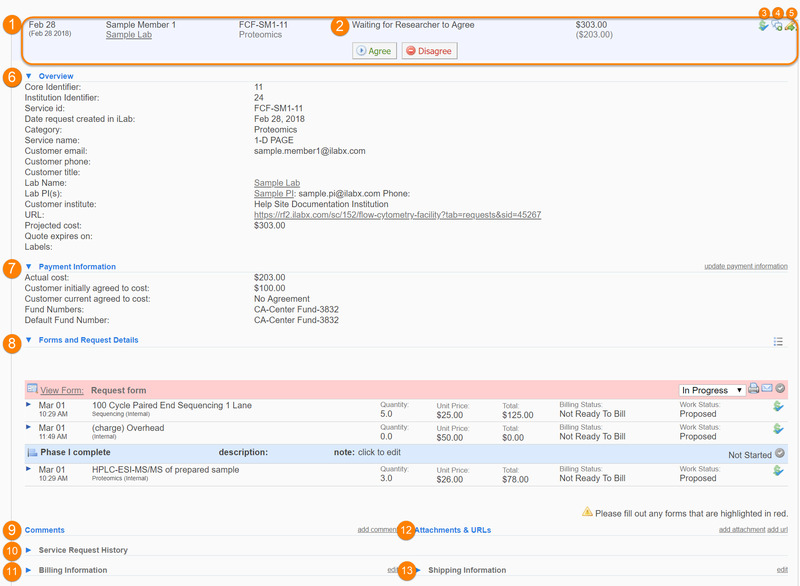 Edit request actions: Inspect and edit the service request with various Edit Request Actions‍. Payment information: Detail about the payment method used for this request. Clicking the "update payment information" on the right-hand side has the same effect as clicking on the dollar icon in the request summary and let's you change the Fund/Payment information‍. Forms: A red row indicates a form that still has required fields to be completed, while a yellow row indicates a form that has has been saved as completed. For more information on completing form see Request Services‍. Milestones: A blue row represents a milestone in the service request. Milestones are used by the core to organize the work and track overall progress. Charges: Individual charges are listed with a clear background. The dollar icon on the far right can be use to change the Fund/Payment method‍ for an individual charge. Comments: This section shows any comments that have been added to the service request. Click the "add comment" link on the right to add a new comment‍. Attachments and URL: This panel lists all attachments and URL associated with this service request. Use the "add attachment" and "add URL" to add additional file and links, respectively.